The rise of public cloud as a robust infrastructure choice over the past several years has led organizations to aggressively outsource their compute, memory, and storage needs to a growing number of IaaS providers. With increasing cloud adoption, more vendors have decided to enter this fast-growing market. As the number of IaaS vendors increases, the buying process becomes more complex. Buyers frequently respond to this complexity by filtering vendors based on variables that are more easily comparable, usually product features, location, and price. 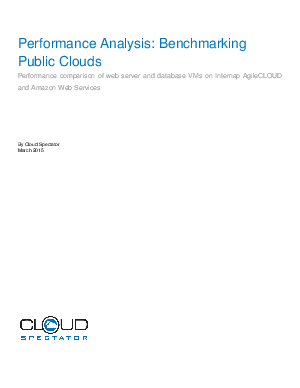 Unfortunately, virtual machine (VM) performance usually gets left out of the assessment.